Baby's First Christmas Outfit. 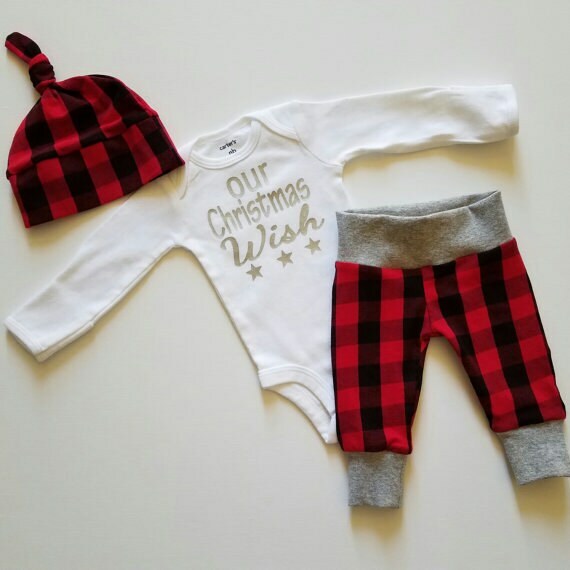 Baby Boy First Christmas Personalized Outfit. Christmas Coming Home Outfit. Buffalo Plaid. PLEASE NOTE: Names CAN NOT be printed on the hats that have a print on them. I do have some offerings that include either a plain gray or plain black hat which include names on them. Please see my shop to see those options. Looking for a sweet, hip and comfy outfit to bring home your sweet little bundle... look no further. 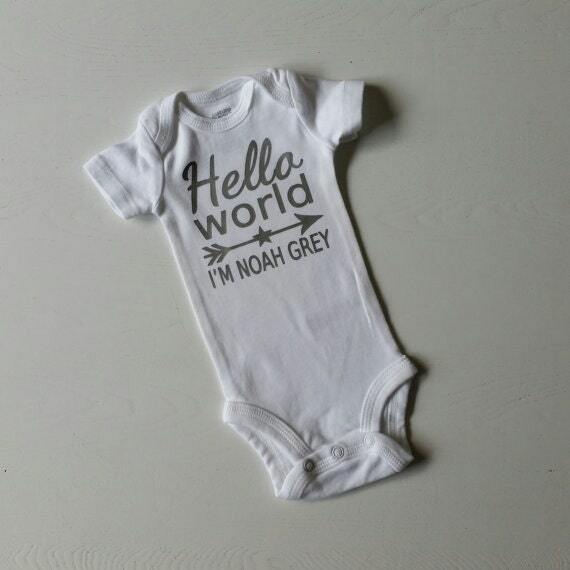 Can be gender neutral or for your baby boy. Red and Black Buffalo Plaid! 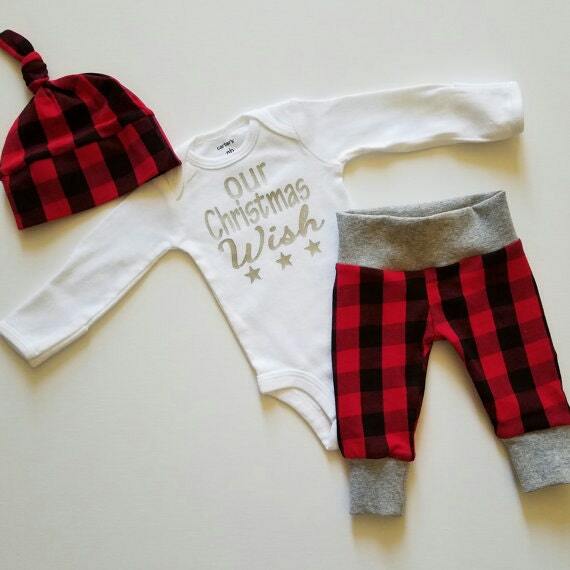 Lumberjack goodness for your baby boy or girl! There is an option for a headband instead of knot hat. Bodysuit has heat pressed silver name with stars. Leggings main fabric is a lightweight cotton spandex with gray cotton/spandex comfort (no elastic) waistband and ankle cuffs. Knot Hat/ Headband made with same fabric as leggings. Choosing the Personalized Option: Leave the personalization info in the notes section at checkout. PLEASE NOTE: Fabric used within this shop can differ from a lightweight 4 way stretch material that is primarily cotton and a tiny bit spandex to get the 4 way stretch, 100 % organic cotton interlock which has a 2 way stretch and medium weight (these particular fabrics are all printed in the USA with inks that are organic and environmentally friendly because of that they are easy to fade so it is best to wash inside out on gentle in PHOSPHATE FREE Natural Laundry Detergent) and new in the shop is a great primarily cotton with a bit of spandex medium weight sweatshirt material. Please be sure to read under Leggings below which material you are getting.